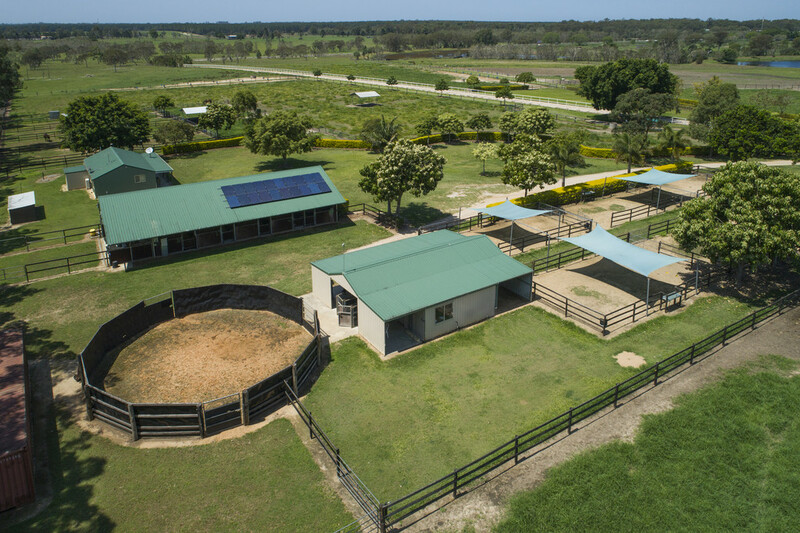 Kilto Park is one of the most respected thoroughbred breeding, pre-training, and agistment complexes in SE Queensland. Its almost 180 acres of fertile alluvial soils and its wonderful drought-proof supply of water makes this a highly valuable investment. Due to Kilto Park’s proximity to Brisbane and Bribie Island, its future is assured for land banking. For the racing industry investor, being only 57 km to Doomben and Eagle Farm Racecourses, 43 km from Corbould Park Racecourse, and only 10 km to the Beachmere horse beach, Kilto Park is a highly desirable location. 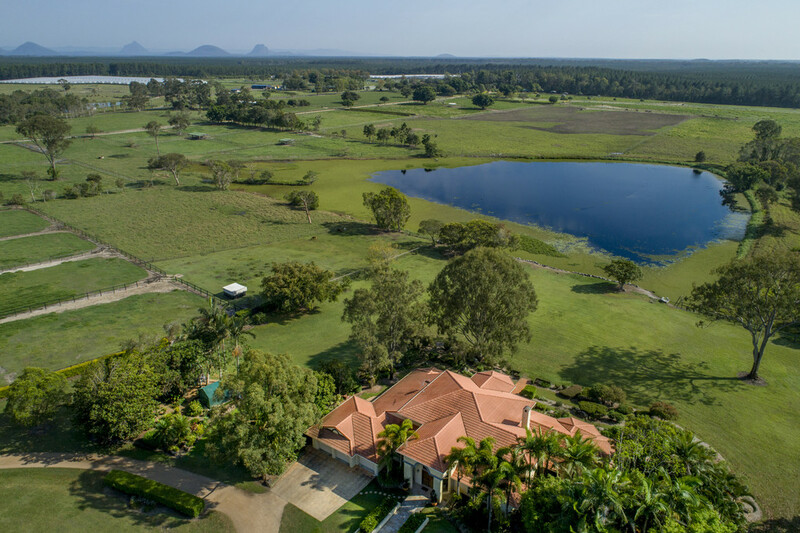 And, being only 13 km from the Queensland State Equestrian Centre could attract buyers from other equestrian pursuits. The majestic Tuscan inspired homestead is set in pristine gardens overlooking a lake-sized dam. 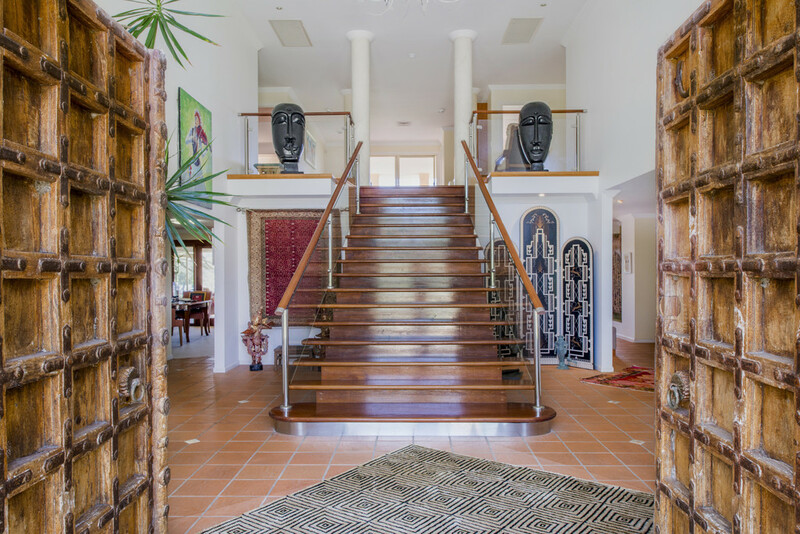 The double storey home has an inspiring grand entrance hall with the elegant eye-catching staircase. It is a sophisticated home with 5 bedrooms. The master bedroom, with ensuite, and study are on the main floor. The formal lounge opens out to a fly-wired veranda which overlooks the dam and property. The open plan kitchen and family room also have the same peaceful, serene views. An impressive temperature-controlled walk-in wine cellar adjoins the family room. A guest bathroom is on the main floor. The remaining bedrooms are upstairs. There is an informal lounge and family bathroom, with a convenient clothes chute to the downstairs laundry. Kilto Park has 2 separate houses for staff accommodation. The first house is a 4 bedroom and the second is a 2 bedroom. Next to the 4 bedroom home is the farm’s office and the pre-training and breaking-in facilities. These include 19 stables, a round yard, easy walker, treadmill, an aqua-pacer, scales, 3 wash bays, and feed sheds, including the fodder farm and several machine sheds. 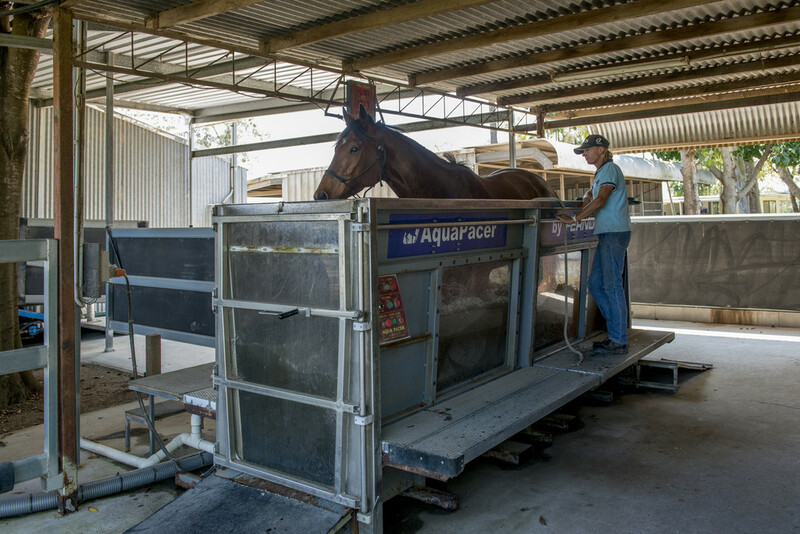 The 1200 m track and the dam horse swim’ are an integral part of the pre-training and breaking-in management, as are several breaker’s yards behind the horse walker. The breeding complex is located away from the pre-training area. It has excellent stallion yards, a formal veterinary area, with horse crush, mating yard, and 5 double-sized stables. These can be converted to 10 stables for weaning foals. There are 10 foaling down yards next to the 2 bedroom home, with holding yards that lead into the veterinary complex. The 89 agistment and spelling paddocks individually have their own shelter and water. Each paddock is approximately 2000 sqm. There are over 20 other agistment paddocks which vary in size and are suitable for pregnant mares or broodmares with foals at foot. Kilto Park has an excellent reputation. 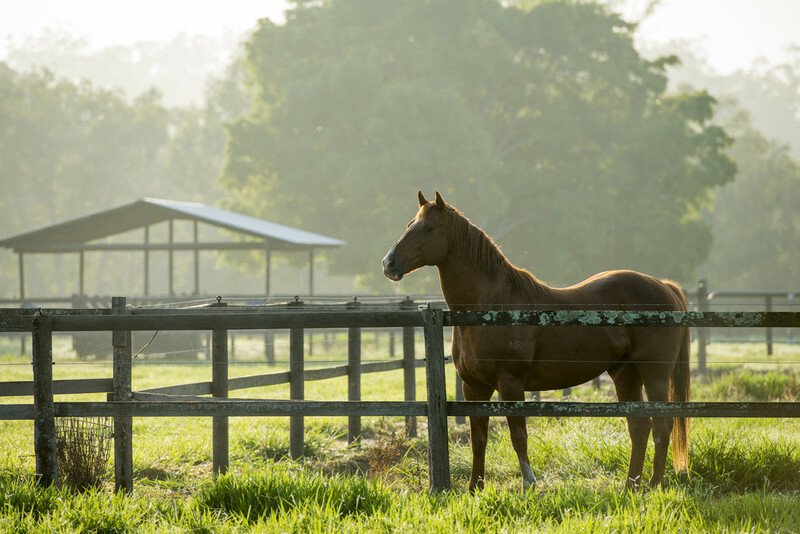 Currently, the owner has over 40 of his own horses agisted and as such, if replaced by paying owners, could, at $24/day + GST, substantially lift the entity’s profitability. Catering for the future expansion of the pleasure horse industry, Kilto Park is ideally located close to the beach and riding trails through the neighbouring pine plantation.